Play snakes & ladders adventure with your favourite woodland companions by sliding down wiggly worms or climbing tall branches to reach the finish line. Then turn the board over for a Ludo race to lead your animal to their home in the forest. 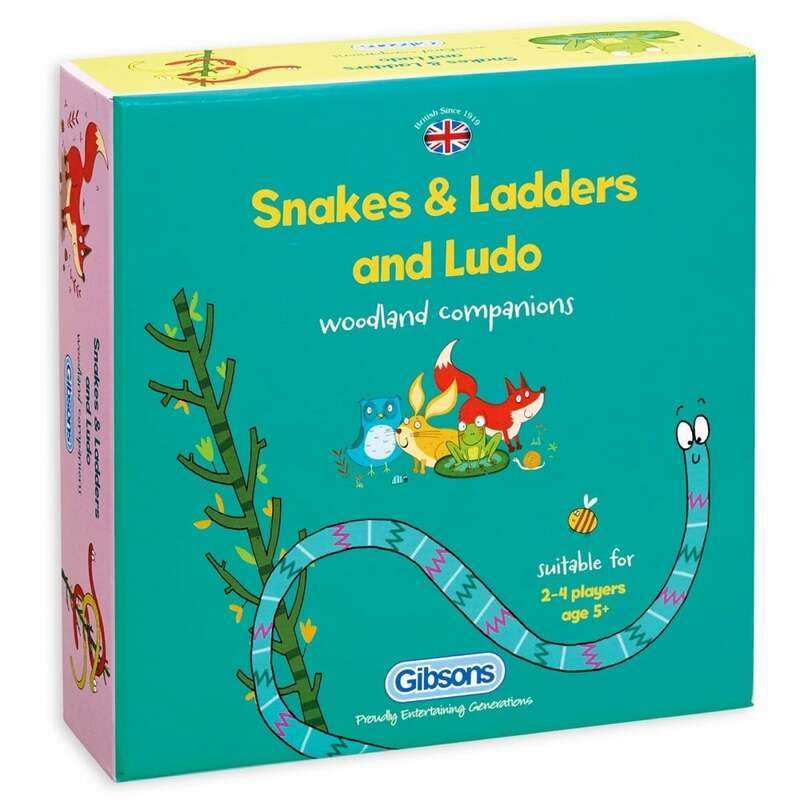 With a beautifully illustrated double-sided board, these classic games of ludo and snakes & ladders can be found together in this delightful version with a woodland twist. Box contains: double sided board, die, 16 wooden counters, rules.